Blind Channel Resort & Marina. BC Coastal Vacations. Waterfront Cottages, Fine Dining. 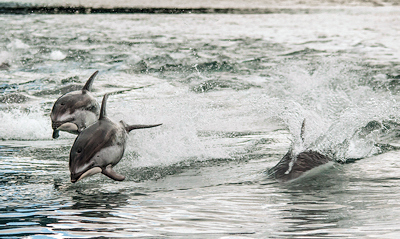 Nature & Marine Tours. BC Boating Destination. 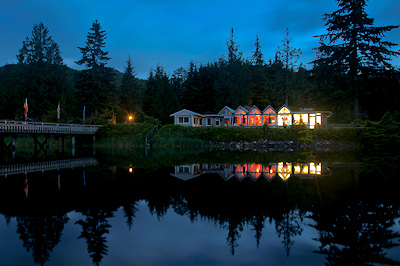 Blind Channel Resort, located on West Thurlow Island, part of the outer Discovery Islands, is an oasis on BC's wild Pacific Coast. 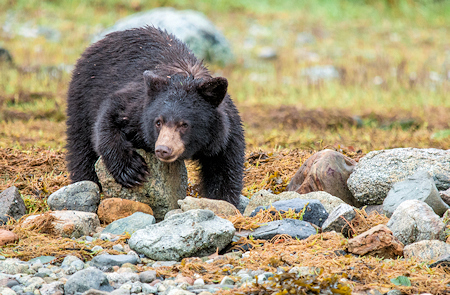 Here you will find world class accommodations and dining in the heart of the spectacular Great Bear Rainforest. 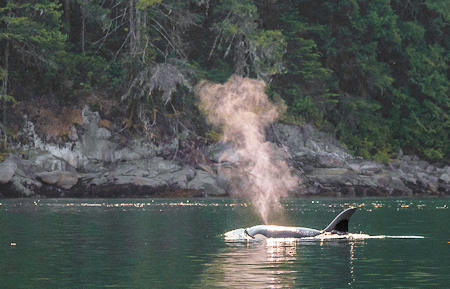 Considered to be the best place in the world to see wild orca whales, Johnstone Strait is home to marine mammals including playful Pacific white sided dolphins, porpoises, stellar sea lions, and harbour seals. Humpback whales are also seen occasionally. 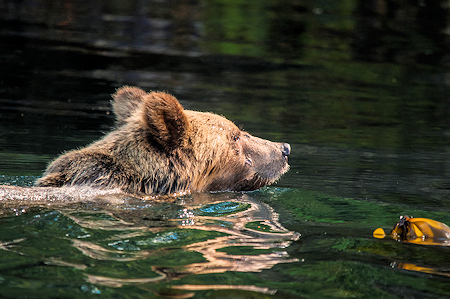 Our resident photographer and guide will lead you on a journey of exploration through BC's spectacular waterways! Prepare for a visually stunning experience. The rugged coastal landscape, the bold contrast of colours, and the variety of subject matter make this a photographer's paradise. 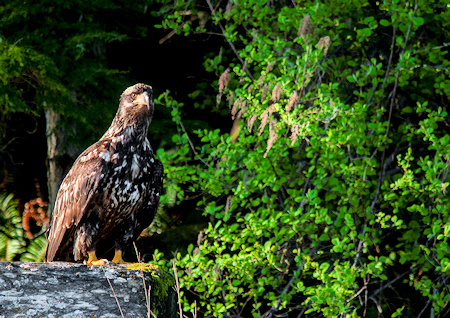 Hike into the pristine Great Bear Rainforest that surrounds Blind Channel Resort. Our guides will share their intimate knowledge of the ecological and industrial history of the area. Explore some of the countless islands and beaches from our comfortable, high speed landing craft. 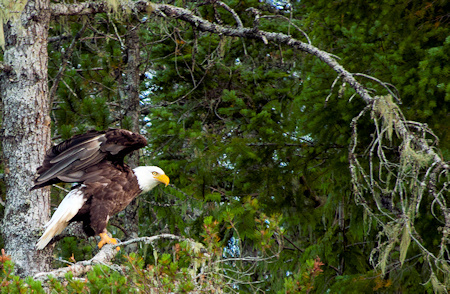 Travel through local tidal rapids and view ancient First Nations pictographs. 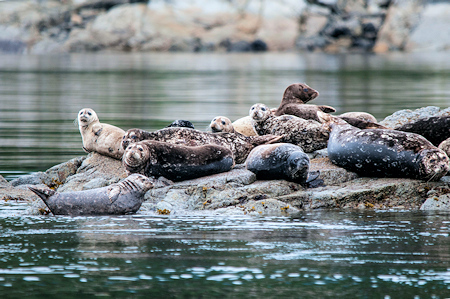 Travel with an experienced guide though waters rich in lingcod, rockfish, salmon, halibut and Dungeness crab. 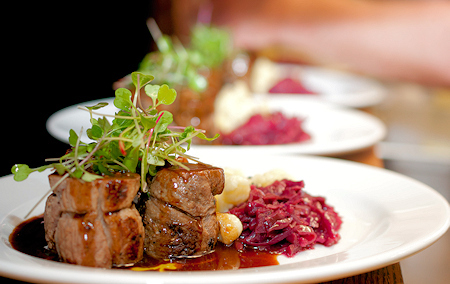 This is a great way for couples or families to get involved in the culinary process from source to plate. 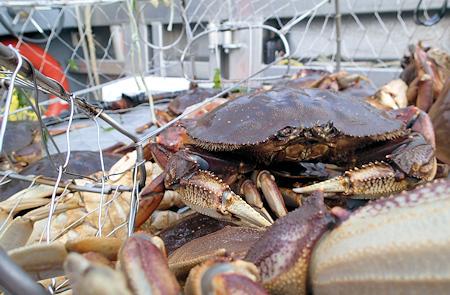 Whether you jig for cod or check the crab traps, our chef will transform your catch into an unforgettable meal. This tour includes approximately 6 hours of boating, complete with a packed lunch you can enjoy in tranquil surroundings, far from the crowd. Once back on land, tour the Blind Channel gardens to see what's on offer for the evening feast. Tranquil landscapes with ever changing ocean currents, surrounded by majestic coastal forest, and infinite night sky will rejuvenate your soul. The local spring water, filtered by the forest, is the purest on earth. The cottages at Blind Channel Resort feature sweeping ocean views, king size beds, and heated tile bathroom floors. Enjoy your morning coffee on the covered deck, showcasing some of the finest local timber posts and beams. 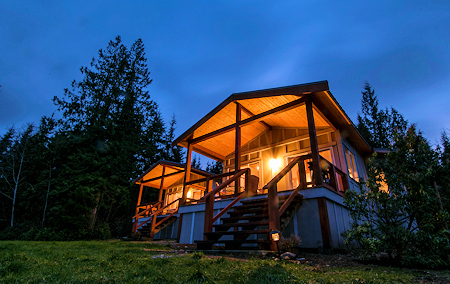 Many airlines offer scheduled flights to Blind Channel Resort from Seattle, Vancouver, and Campbell River. 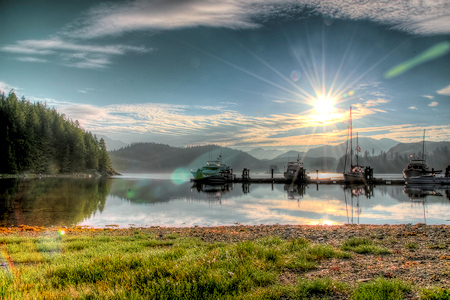 Scheduled water taxi service is also available from Campbell River and Rock Bay Campground on Vancouver Island. 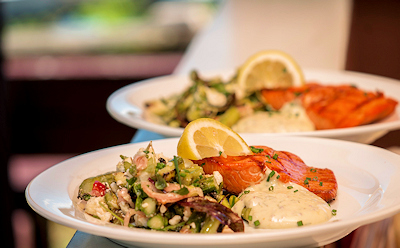 The Cedar Post Restaurant is not only considered one of the best places to dine on BC's coast, with a delicious German inspired menu, it is also a testament to the late Annemarie Richter's life work. Her mosaics, tapestries and paintings speak to the colourful history of the resort and the family who has owned it and built it up while living here since 1970. 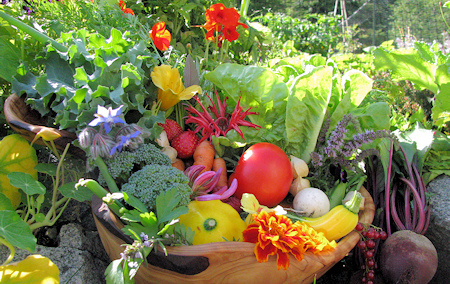 We grow our own herbs, micro greens, and many of the vegetables for our dishes in our garden. We also use edible flowers both from the garden and wild, we harvest wild berries and berries from our garden, and we use sea asparagus which grows on our beach. 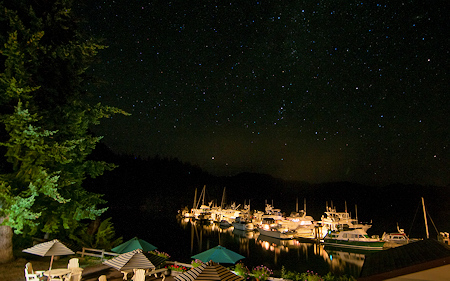 The marina at Blind Channel has been a favourite destination for boaters for generations. It's conveniently located for anyone traveling north of Desolation Sound on their way to the Broughton Archipelago or to Alaska. 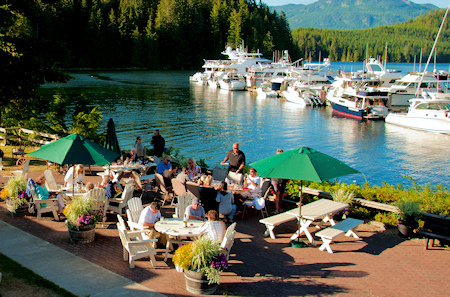 Many coastal mariners also choose to make Blind Channel Resort the end destination for their summer trip. Coastal cruisers can tie up, shop, dine out, re-fuel, hike, or just take it easy. You can let your guests stay on shore while taking them cruising or fishing during the day. 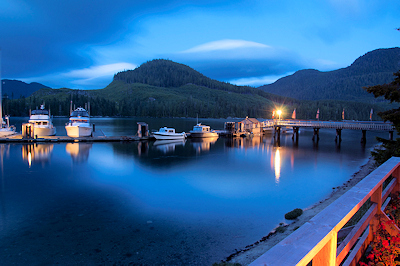 The marina at Blind Channel offers sturdy moorage on 80' finger piers. 15, 30, and 50 amp power is available on the dock along with pure spring water on tap. Wi-Fi can also be picked up at the marina. fresh greens! 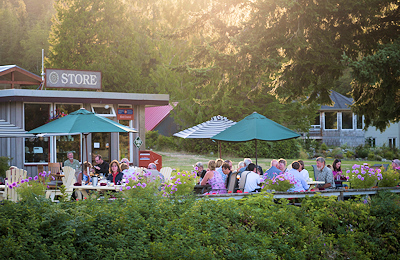 You will find the Blind Channel Store stocked during summer months with fresh veggies, fruits and dairy products, including ice cream. Frozen meats and canned goods are available year round. Don't miss the famous hot cinnamon buns in the morning or the smell of freshly baked homemade bread in the afternoon. You will also find souvenirs, clothing, charts, ice blocks and cubes, as well as a wide selection of wine, beer and spirits. There is also a post office at the Blind Channel Store. Mail is delivered by float plane twice a week. 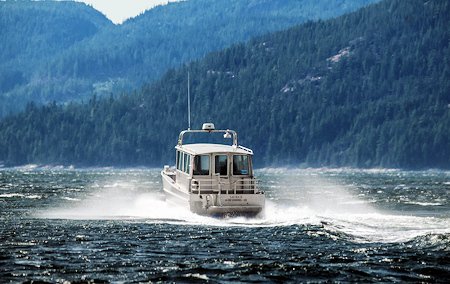 Blind Channel's in house water taxi service makes it easy to connect with friends, get to town to do errands, or have parts or supplies picked up and brought to you. 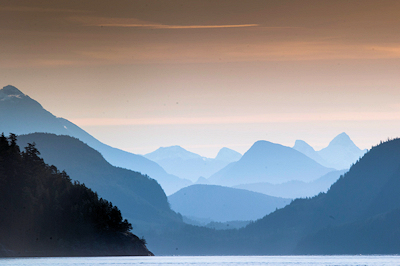 Direct scheduled service to Campbell River runs three days per week during peak summer months. 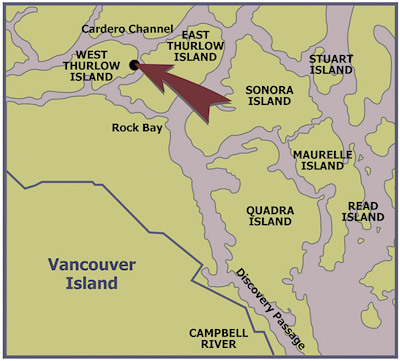 Blind Channel Resort is located on West Thurlow Island, part of the outer Discovery Islands, between Johnstone Strait and Cordero Channel. 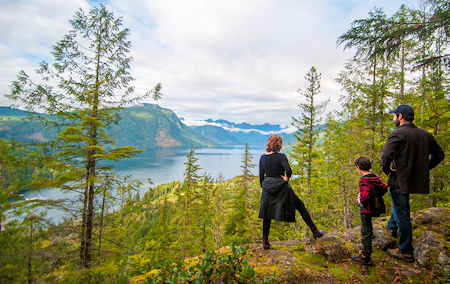 It's a convenient stop for boaters traveling to the Broughton Archipelago or to northern destinations such as Rivers Inlet, Haida Gwaii, and Alaska. There is no road access, so boat and float plane are the best ways to get here. 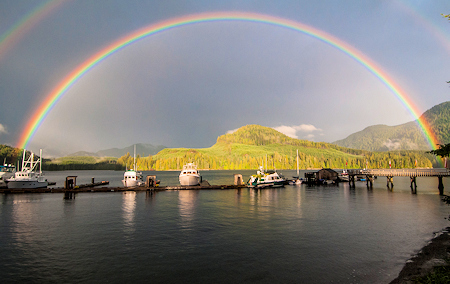 There are several scheduled water taxi and float plane services available. (see www.blindchannel.com) It's about 30 nautical miles from Campbell River via Discovery Passage, or Desolation Sound via Cordero Channel.